On Track Publishing, 9780985689704, 384pp. Undeterred by the most dire warnings, in 1848 eleven-year-old Guinevere Walker embarks on a perilous journey to reunite with her widowed father. From her home in Boston she sails to Rio de Janeiro, around Cape Horn, to the rudimentary town of San Francisco - ultimately arriving at the California mountain range called the Sierra Nevada, known for both its beauty and brutality. As Guine and her father struggle to forge a new relationship, they confront the most massive human migration the world has ever known: the California Gold Rush. Hundreds of thousands of fortune hunters from around the globe flood into the burgeoning territory to "See the Elephant" - to experience a great adventure, dig for a golden fortune, face the harshest realities, and search for their own person truths. 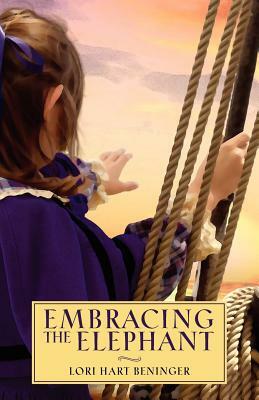 Embracing the Elephant is a powerful story about one child coming of age at precisely the moment a nation enters its own new age. It is a tale of fierce determination, resilience, discovery and, best of all, hope.